Art by Nik Caesar – visit his site at scary-art.com! Theknottyguy sponsors today’s show where we do a few prank requests that turns into an entire show of bothering Radio Shacks. 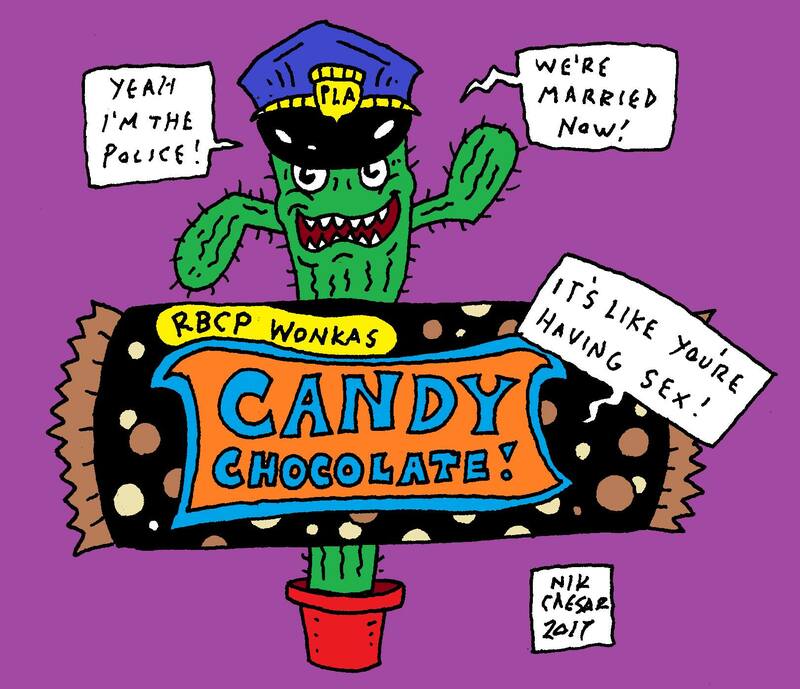 I edited some stuff out of the Candy Chocolate prank, completely forgetting that one thing was referenced in the art. Click here if you want to hear the entire prank with a few extra seconds of audio.